Time flies, doesn’t it? When I think of what I was doing this time last year, it feels like it was only a few short months ago. The older I get, the faster time seems to move! All the more reason to seize opportunities when they appear. Take travelling as an example. Almost everyone between the age of 18-30 wants to see the world but can’t because of money issues. I know that’s true for me! Either I don’t have enough of it or I’m in debt – I’ve probably spent my entire adult life (so far!) alternating between one and the other. So when it comes to travelling, which, of course, I love doing (! ), certain plans get put off and put off until they are no longer feasible. Bye bye Italy, and Austria, and definitely Japan, hope to meet you one day! This might sound irresponsible, but I do believe that it’s better to try to do things you really want to do in life, rather than let them pass you by, even when you’re back is up against the wall. Which is why travelling with debt is an option. But if you’re going to try it, you need to understand the golden rules. The Amazon jungle in South America isn’t renowned for its internet connection! The same goes for the Sahara desert and a cruise boat in the middle of the Pacific Ocean. Why on earth am I talking about this?! Well, travelling is amazing, but life back at home does go on. And that includes debts. Keeping up with your debts while abroad isn’t as simple as is it when you’re at home. That’s why considering https://debtconsolidation.loans/credit-card-consolidation/ is a wise move. For starters, they’ll be far easier to manage as you only need to make one payment a month. And it doesn’t cost a whole lot extra, either! When it comes to debt, we always feel as if the rules go against us. Getting out of debt can almost seem like an unwinnable game. But this doesn’t have to be entirely true. Do you have credit cards with unpaid balances? As harmful as this can be, credit card companies can pretty flexible while you’re on your travels. There are plenty of 0% interest promotions, and you can just transfer the balance to another credit card account when the promotional period is about to expire. If you’re a bit of a nomad, like me, following a highly designated plan is probably one of your pet peeves! But after going through the hard work of setting up a debt payment plan, there is nothing as frustrating as having to renege on it. It’s a massive waste of time, money and effort and will leave you feeling pretty horrible. If there’s one thing you need to do when travelling while in debt it’s to make sure you stick to the script. If that means eating pasta and rice for six months, then it’s a sacrifice you’ll have to make. Remember that creditors don’t play around and will escalate the situation if you break promises. As tips go, this is the most obvious yet. It’s a mistake that travellers commit regularly. It’s tempting to contemplate increasing your debt when you’re in financial difficulty. After all, making things slightly worse won’t make things that much harder, will it? When you get back home, however, and day to day life resumes, you probably won’t feel as chill about it. Racking up more debt only adds to the length of time it takes to get out of that debt. And debt can be crippling, as so many of us are all too aware. It can prevent you from buying a car, a house, or even travelling again. Be sensible and make sure you don’t eat into what you need to make your debt repayments. 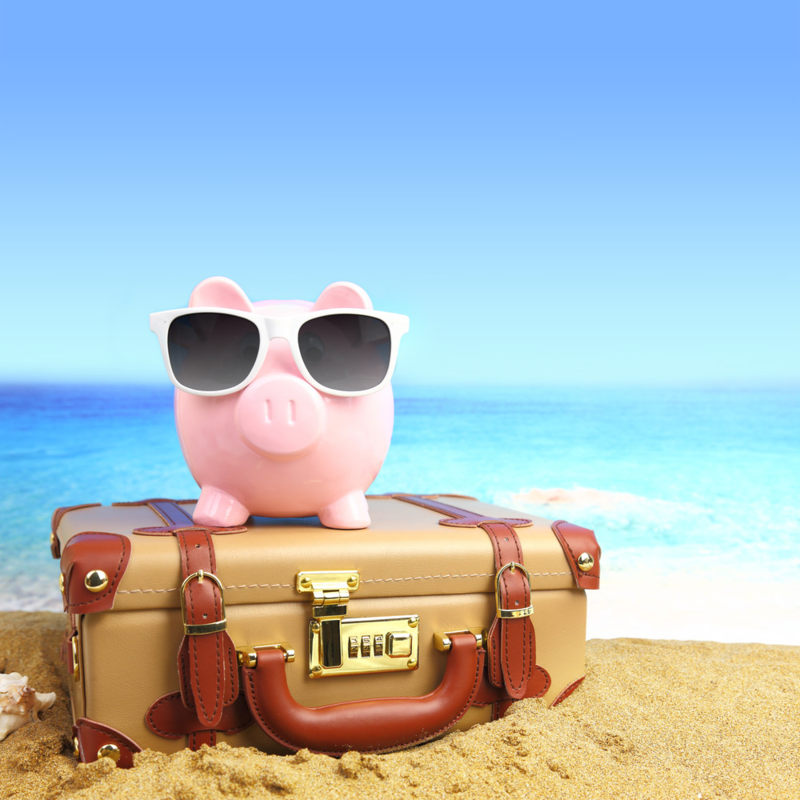 How do you plan on mixing a nomadic lifestyle with an overdue debt balance?